Interstate Tree has been in business for over 50 years and has grown to become a tree service leader, servicing the SE Wisconsin area and Midwestern States. High quality equipment & skilled workmanship CALL or CLICK NOW to have us quote your project TODAY! Interstate Tree has professional, skilled employees that get the job done efficiently and effectively. We have state of the art tools and equipment to successfully complete any project. Our employees pay strict attention to the customer's limits and boundaries. All jobs are left in a very clean condition upon completion. 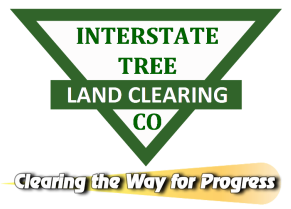 Interstate Tree Land Clearing Co. is a commercial tree clearing and grubbing company that works on a variety of private and public projects including: highway and pipeline projects, airports, powerplants, subdivisions, building sites, etc. We are signatory to the International Union of Operating Engineers Local 139.